Great news for patients who dread dental appointments: our Santa Cruz dental practice is a no fear, no white-knuckles zone. Dr. Matiasevich uses relaxation techniques and sedation dentistry to help even the most fearful patients relax and get dental care. 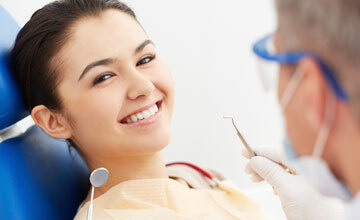 Sedation dentistry is the use of sedatives to keep you calm and stress-free during dental appointments. We offer nitrous oxide, oral conscious sedation, and OraVerse for a truly comfortable experience. Oral sedation is the use of anti-anxiety pills to help patients relax. These so-called “happy pills” produce a “whatever” feeling that makes you oblivious to what’s going on around you. You take the pill about an hour before the procedure, so you are ready to enter the treatment room. You’ll be too relaxed to worry about anything, but you are fully conscious as the dentist works on your teeth. 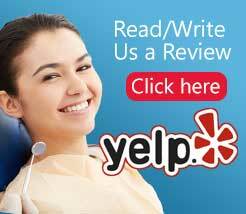 Dr. Matiasevich can perform years of dental work in a single visit when the patient is cooperative! Best of all, you’ll have little or no memory of sitting in the dental chair after the procedure. Common oral sedatives belong to a class of drugs called benzodiazepines or benzos. Valium, Xanax and Ativan are examples. These pills work like a yoga instructor for the brain cells, toning down the activity in the “fear” sections of the brain. While sedatives have different effects on people (the same dose can knock out a football player but have no effect on a petite female), they are very effective when administered properly. In general, low doses reduce anxiety, while higher doses induce sleep. The effects of oral sedatives can linger after your appointment, so it’s best to take someone with you to the clinic and drive you home. Dr. Matiasevich recommends sedation if you are undergoing lengthy or invasive treatment, like dental implant surgery. 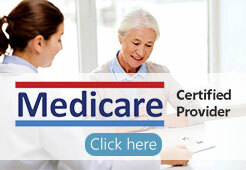 Call 831-440-7577 now to learn more!